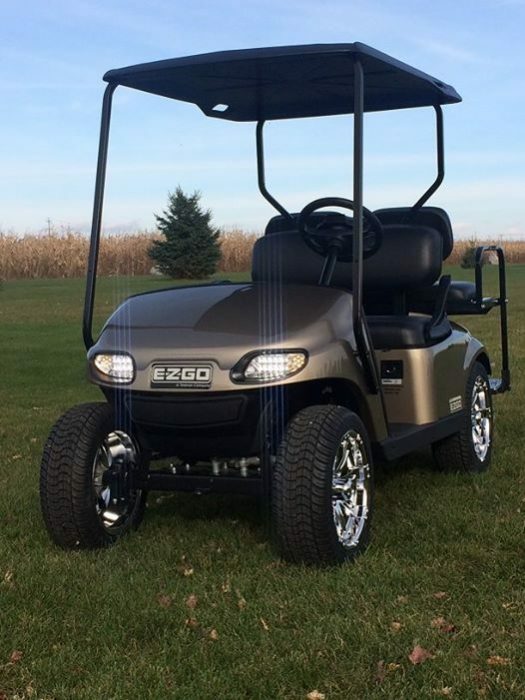 Are you ready to give your Golf Cart the service it is asking for? Schedule a maintenance or repair right here. We can get your golf cart in and out quickly. We know there isn’t much more frustrating than being without your golf cart on the course, while it gets repaired. That’s why we excel in providing top-notch maintenance and repair – and is able to do it quickly. Do you have to many rounds of golf put on your cart this year? Let us service your oil filter and change the oil this fall for next season! Cart not stopping like it use to? We can help get the proper brake adjustment set on your cart or even replace the brakes with ease. Need help getting your cart ready for winter? Stop in we can help! We offer different packages from oil changes, fuel stabilizing and battery charges. Golf cart seem to run alittle off road? We can help stop in for an alignment and we can keep you on the cart path! Batteries not holding a charge anymore? We can get you set up with a new set of batteries for your cart. We have a few to choose from. Stop on in to see our selection. Constantly getting flat tires or a slow leak, we can help.